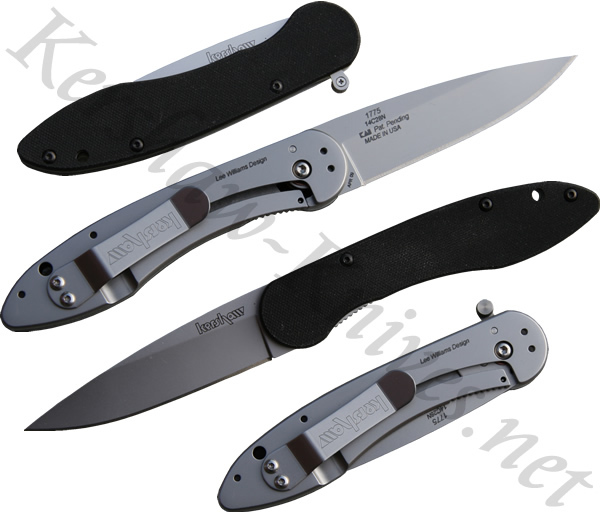 This Kershaw OD-1 knife model 1775 is quite cool. It has a hard 14C28N stainless steel blade that is known for it great edge retention. The handle is very unique because one side is G-10 overlay while the other side is 410 stainless still. A frame lock hold the blade open on the stainless steel side of the handle. The pocket clip can be mounted to carry the knife tip-up or tip-down. Now here is something else that is cool. A flipper on the back of the knife opens the knife and conceals itself when the blade is open.